When a restaurant has been around from 1977 until present with uninterrupted service, what does it convey to you? That the thirty four years it has been around feeding so many people has left an important imprint in its diners. The people go back, its name spreads around and it gets a solid foundation. 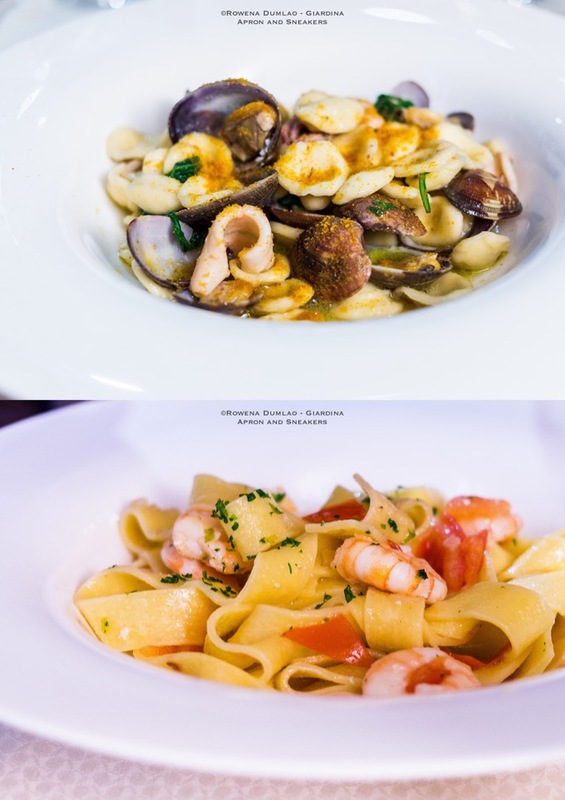 I discovered Ristorante Svevia just a month ago when I was passing through the town of Termoli with my family to go to the town of Mattinata in Puglia. We wanted to cut our car trip in half to see a new town and to give ourselves a break from the traveling. 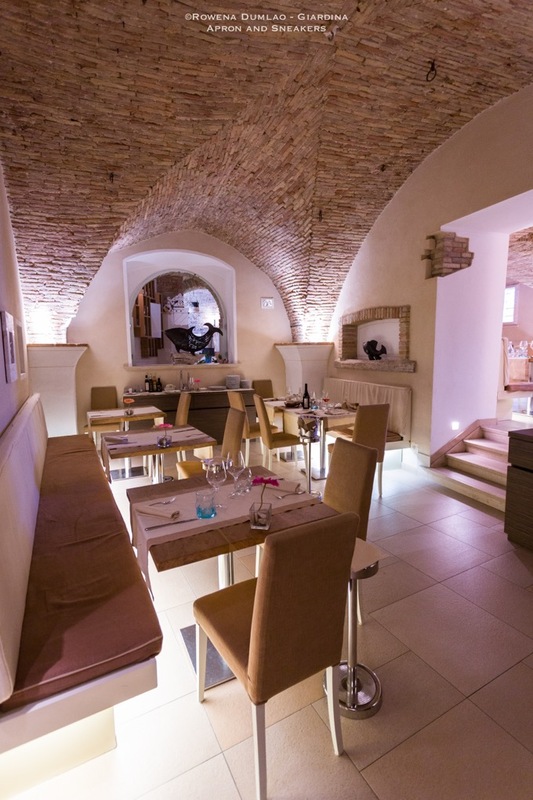 After checking around the internet, Ristorante Svevia was our unanimous choice. Photos taken from their site. Our booking with the company of our dog was welcomed warmly. If you are a dog owner you would understand what a relief it is to find places that are dog-friendly because it makes traveling and dining much smoother. 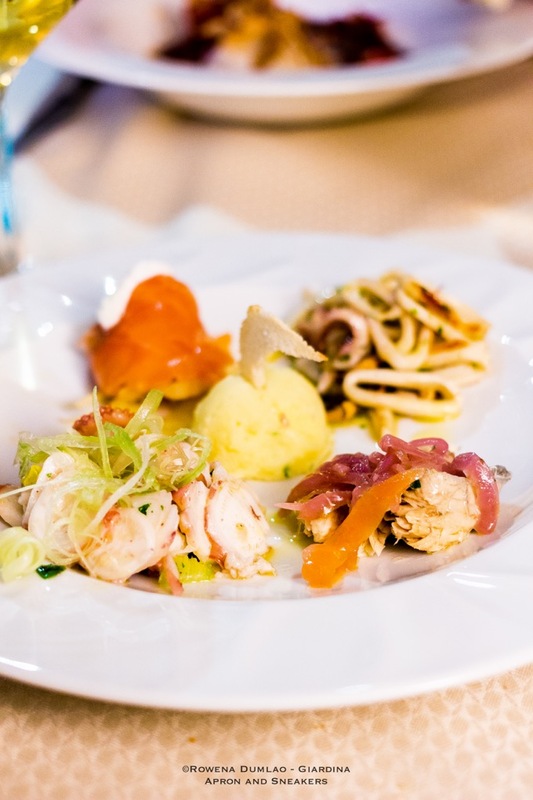 A selection of hot and cold seafood appetizers. 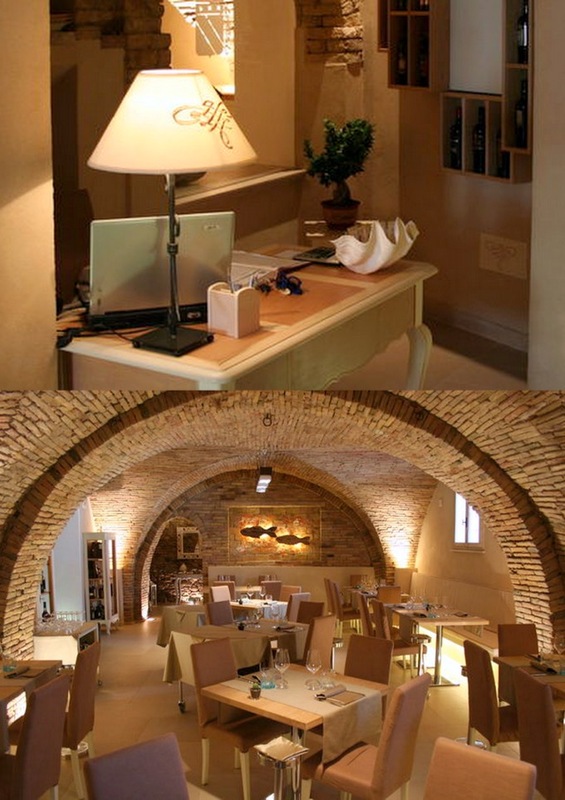 The restaurant is located in the old part of the town and just a few steps from the 13th century cathedral. The fishing town with pastel colored houses lining the alleys is small and serene. In a hushed time of the day, the relaxed southern Italian town atmosphere is so inviting. It's the kind of ambiance that makes you think of enjoying a long sumptuous seafood lunch just like what we were going to do. 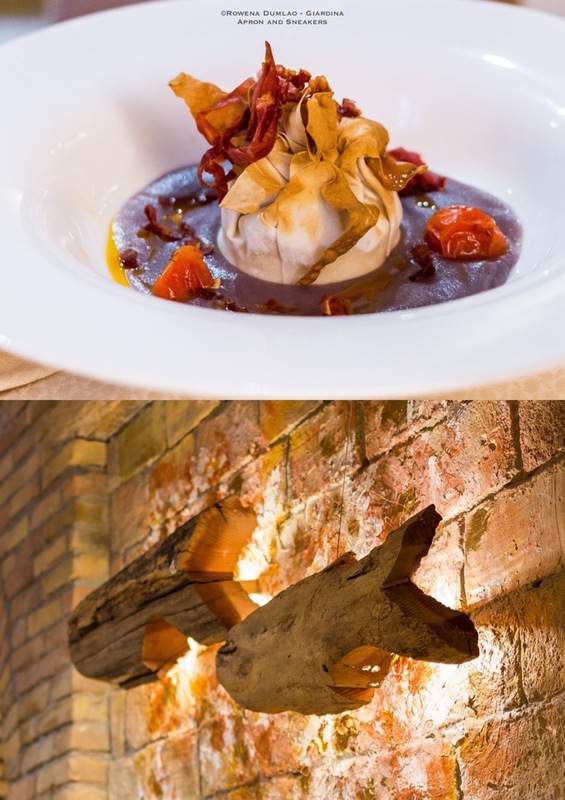 Housed in an 18th century building, the restaurant is furnished in a minimalist manner which gives a lovely contrast of old and new together. The restaurant was surprisingly bustling on a weekday lunch and since there was only one person serving all the tables, service was on the slow side but the waiter was adept to his job that he successfully juggled all the tables without any problems. Now the food - it's as great as I had hoped it would be. I was certain that the lunch would be superb as I picked the restaurant from Michelin's restaurant guide. I have always trusted their recommendations. 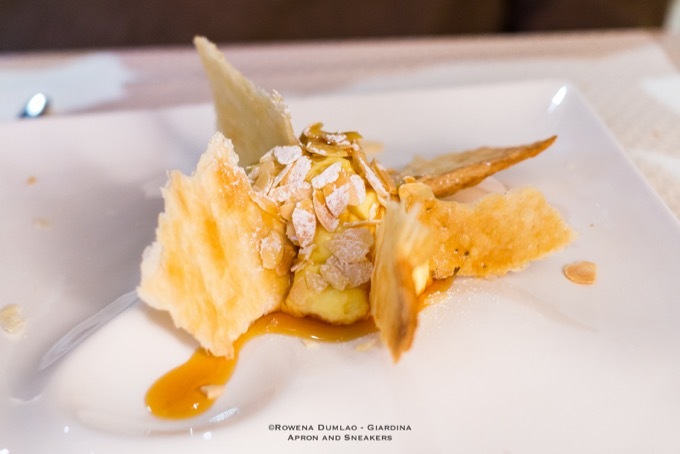 The restaurant uses kilometer zero ingredients and the dishes are transformed to delectable dishes by Chef Massimo Talia. 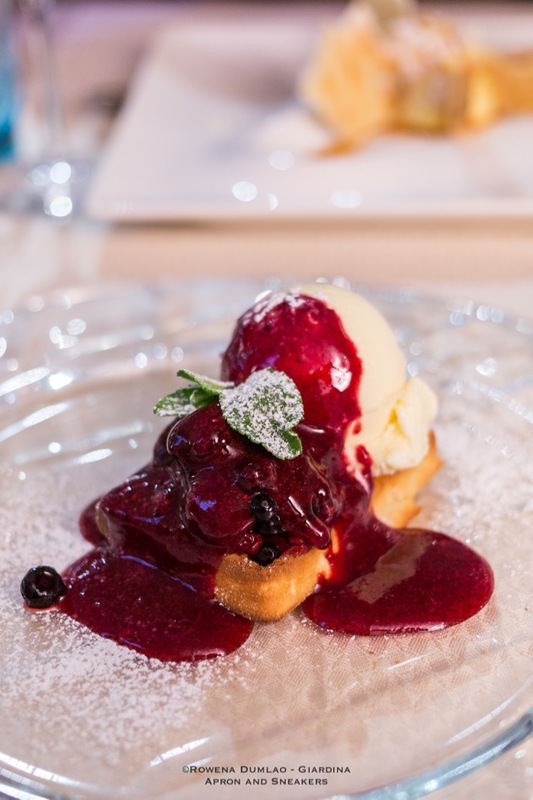 Traditional and modern takes on Molise dishes with good wine pairing is all you need to enjoy a delightful lunch in this pleasant seaside southern Italian town.